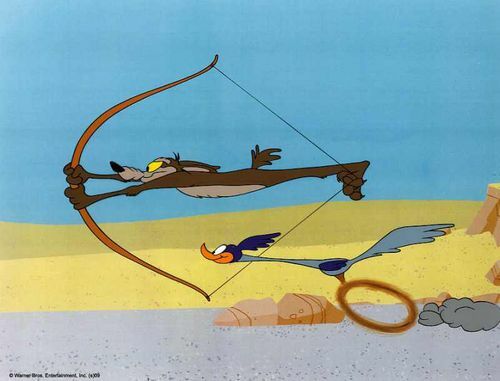 Wiley Coyote and Roadrunner. 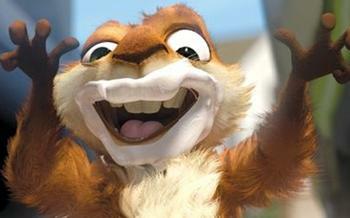 Copyright Warner Bros.
Hammy the Squirrel Copyright DreamWorks Animation. My reaction when faced with trouble is either to be overwhelmed by it or spring into immediate action and reaction. This past week has been so crammed with surprises and major life changes that it honestly feels like a month has passed, rather than seven days. Yesterday, while addressing the demands of the day and contemplating next steps for our immediate future, I got an email from my mother. She has been studying Nehemiah. I love the book of Nehemiah. There are abundant lessons to be learn and, Lord willing, I’ll be writing about them in the future. Since the Jewish month of Nisan would be our mid-March to mid-April, it would indicate that four months have passed since Nehemiah received the bad news about the plight of Jerusalem. As every believer should, Nehemiah patiently waited on the Lord for directions; because it is “through faith and patience” that we inherit the promises (Hebrews 6:12). “He that believeth shall not make haste” (Isaiah 28:16). True faith in God brings a calmness to the heart that keeps us from rushing about and trying to do in our own strength what only God can do. We must know not only how to weep and pray, but also how to wait and pray. Three statements in Scripture have a calming effect on me whenever I get nervous and want to rush ahead of the Lord: “Stand still, and see the salvation of the Lord” (Exodus 14:13); “Sit still … until you know how the matter will turn out” (Ruth 3:18, NKJV); “Be still, and know that I am God” (Psalms 46:10). When you wait on the Lord in prayer, you are not wasting your time; you are investing it. God is preparing both you and your circumstances so that His purposes will be accomplished. However, when the right time arrives for us to act by faith, we dare not delay. I read it, smiled and went on with my day, not anticipating the torpedo that was about to land in our lives, creating additional shockwaves. Almost immediately after that surge of rising panic, the words I had read that morning flashed into my mind. Instead of jumping up and rushing around in a frenzy, I sat still. I sat still. I prayed. Timing is everything. That encouraging email from my mother could not have come at a more crucial moment in my life. Are you rushing around trying to stay ahead of the game? Are you facing an overwhelming situation? And my friends, He really is. Previous Post You’ve Got to Lose Your Self.